In this beer blog, we are going to get into the flagship from Fuller’s Brewery and the beer is London Pride Pale Ale. If you read my beer blog post on their ESB, you know the history of this brewery. If you have not read that beer blog post, please, read that post to get to know this brewery. Let us get into beer. It has a clear copper color with a constant white head. There is no smell to this beer. The taste is a malty caramel with a light carbonation with a tropical fruit aftertaste. It is drinkable and refreshing beer. Fuller’s London Pride is an award-winning English classic premium beer, rich and smooth, with a good malty base and well-developed hop notes in the finish. The Griffin Brewery in Chiswichk, London, has been brewing fine beers since 1654. The Fuller, Smith & Turner partnership, dating back to 1845, brews an excellent range of award-winning beers, many of which are available in the USA, including London Pride premium beer and the world’s original ESB. I hope you will enjoy trying all our fine beers. 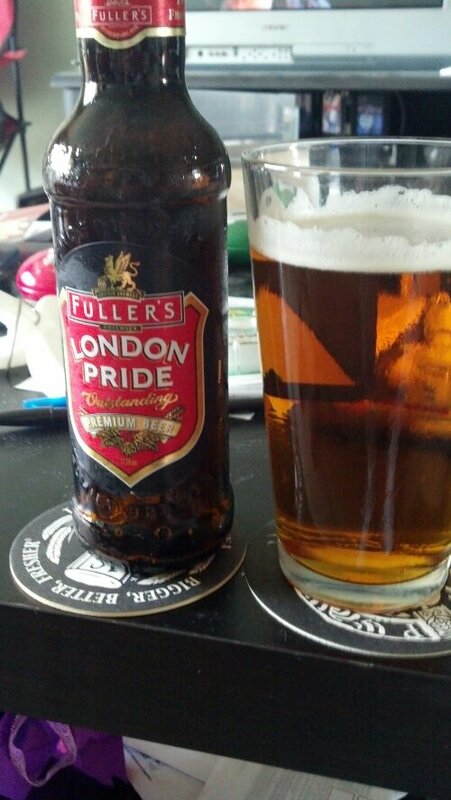 Fuller’s London Pride is the UK’s leading premium ale. An intrinsic part of London, London Pride has been brewed by the banks of the Thames from the very first brew. Known and loved for its smooth, distinctive malty base and rich balance of hops flavours, London Pride is London and the UK’s favourite premium ale.